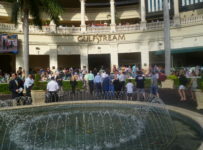 That New Year’s Day race is the $100,000 Gulfstream Park Derby, a one-turn mile on the dirt. 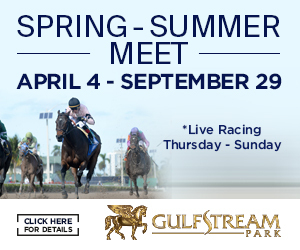 It is the first of three much-anticipated races for 3-year-olds at Gulfstream during the first four days of 2014. 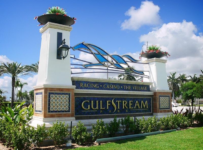 On Friday, Gulfstream will host a 1-1/8 mile dirt allowance with several highly touted horses that will be making just their second or third starts. 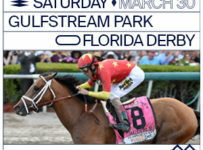 On Saturday, look for the $100,000 Spectacular Bid Stakes at six furlongs on dirt. Best Plan Yet, Pablo Del Monte, Commissioner, Top Billing and Giancarlo are among horses with big chances in this week’s races. 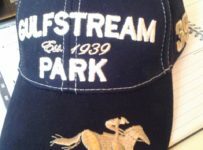 Any horses that win or put in other strong showings could be pointed by their trainers toward Gulfstream’s graded stakes – capped by the $1 million Florida Derby on March 29 – and the trail toward the May 3rd Kentucky Derby. 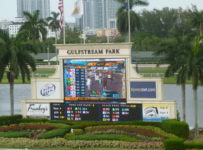 *The Gulfstream Park Derby is Wednesday’s ninth race, with a scheduled 4:33 p.m. post time. Best Plan Yet comes into the race with three stakes wins, all at one mile or longer, at Calder Casino & Race Course, and is the probable favorite. He is trained by Stanley Gold and owned by Fred Brei. 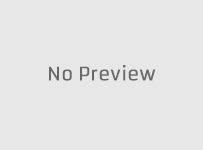 They are prominent for developing Awesome Feather, Jackson Bend and Fort Loudon – three horses that began their careers at Calder and became national stars. Best Plan Yet has a late running style that could be a plus in a race with several speedsters. 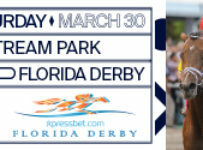 Two speed horses that will attract some bettors are Pablo Del Monte, trained by Wesley Ward, and Aarons Orient, trained by Todd Pletcher. Both will be racing in Florida for the first time. 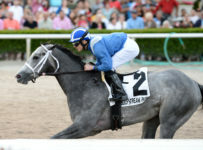 Wildcat Red and Gone as Wind had impressive recent races at Gulfstream, and it would not be a shock if either wins the Gulfstream Park Derby. 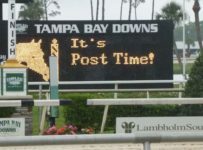 Itsmyluckyday won the race on Jan. 1, 2013 and went on to win the Holy Bull at Gulfstream and finish second in the Preakness Stakes. 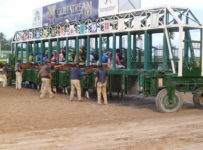 *The Friday allowance has a $48,750 purse, a ninth race; post time 4:33 p.m.
Commissioner and Top Billing are part of an eight-horse field. Both have star-studded breeding and are attracting attention in Kentucky Derby futures betting pools. Commissioner has a second place finish and a win in two career starts. The victory, in his most recent race, was at 1-1/8 miles at Saratoga on Aug. 23. He is a son of A.P. Indy, the 1992 Breeders’ Cup Classic winner. Jose Lezcano will ride for trainer Todd Pletcher. Top Billing was an eye-popping winner in his first race – at six furlongs in the slop at Laurel Park on Dec. 6th. 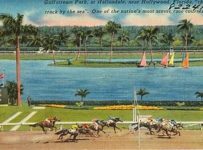 He rallied from far back, split through a pack of horses in mid stretch and won by 5 ¼ lengths. Top Billing is a son of Curlin, the 2007 Breeders’ Cup Classic winner. Trainer Shug McGaughey has tapped Joel Rosario to ride. McGaughey trained Orb, last year’s Florida Derby and Kentucky Derby winner. 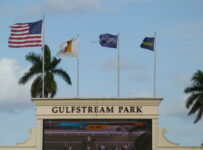 Orb began his season by winning a 1-1/8 mile allowance at Gulfstream on Jan. 23rd. *As of Tuesday morning, entries were not out for the Spectacular Bid. Giancarlo, a recent impressive winner in a six-furlong maiden race at Calder, is probable and could be the betting favorite. Later in January at Gulfstream, several early-line Kentucky Derby favorites will make their first 2014 starts. Honor Code, trained by McGaughey, heads that list along with Havana and Cairo Prince. On Nov. 16th Honor Code won the Remsen Stakes (Grade 2) at Aqueduct at 1-1/8 miles. Shared Belief, who is racing in California, is first on most analysts’ lists of Kentucky Derby contenders. If Not California Chrome, Who?